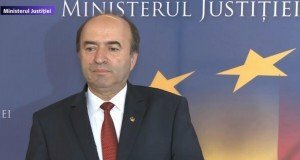 Justice Minister Tudorel Toader has announced late on Tuesday that the Government has approved the emergency ordinance amending the justice laws, arguing the amendment proposals would have come upon the suggestion of the Superior Council of Magistracy (CSM). However, the ordinance had not been included on the public agenda of the Government sitting and had neither been announced by the prime minister at the beginning of the sitting. The ordinance draft has apparently been sent to the CSM for an opinion merely on Monday evening. The draft has immediately stirred the anger of the public opinion, as it contains a lot of controversial provisions that point to the fact that it has been drafted particularly to spring to the defence of those officials who have legal problems, facing trials or final convictions. 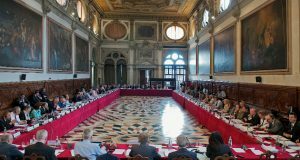 So, among the provisions there is the one that high ranking prosecutors, meaning the prosecutor general and his deputies, the heads of DIICOT and DNA and their deputies, shall get the green light for their mandates from the CSM plenary, and not from the prosecutors sections within CSM. The Superior Council of Magistracy is now led by Lia Savonea, known as close to Justice Minister Tudorel Toader and the ruling PSD-ALDE coalition. So, since Savonea has been elected at the helm of CSM, the council is perceived as favourable to the ruling coalition. 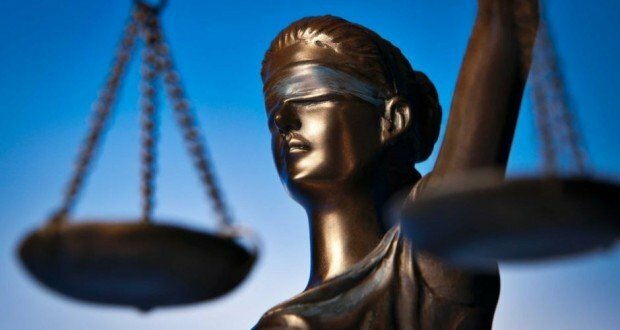 Another provision says that for the high ranking prosecutor positions (for which the appointment is made by President Iohannis), assignments lasting more than 45 days will not be allowed anymore. The aim of this amendment is to compel the head of state to name a chief prosecutor upon the proposal of the Justice minister as quickly as possible, otherwise the institution might lose its chief. For instance, not the National Anti-corruption Directorate is led by an assigned chief prosecutor, as the President has repeatedly denied to name Adina Florea at the DNA’s helm. Florea is also close to the Justice Minister and to the ruling coalition. Another provision proposes that the head of the special section recently set up to investigate magistrates will be the one who decides in the cases that are now under the authority of the prosecutor general. Now, the PG can dismiss some deeds that he considers groundless or not legal. The GEO also allows judges who have been prosecutors to run for the top positions of the Public Ministry. Local mass media argues that one of the judges that might benefit of this amendment is Alina Ghica, the judge from the Bucharest Court of Appeal who annulled part of the TelDrum file and the five-judge panels, based on which some officials convicted for corruption have been released from prisons and some trials are about to be rejudged, like the Sova case. President Iohannis has accused on his Facebook page the GEO amending the justice laws, saying that PSD is acting against Romania, against the rule of law while also enabling those with legal problems to have a special statute. „PSD has again acted today against Justice and against the rule of law, against Romania and its citizens. The PSD Government wants to give through this emergency ordinance a special statute to those facing legal problems. Romanians and the European leaders know there is no other reason for this obsession to weaken the judiciary in Romania up to being ineffective, other the one of personal interests. Romania cannot be left at the disposal of those who want to institute a political control over the justice”, President Iohannis said. 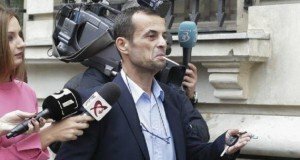 On the other side, Social Democrat leader Liviu Dragnea claimed he had no idea about the GEO before the sitting, but that he had read it and it looked Ok.
„I’ve seen the draft, I think it is OK and necessary”, he said, denying once again that it has anything to do with his own legal problems. „What that ordinance has to do with me”, he asked. The Prosecutor General of Romania, Augustin Lazar, has voiced his concern about the institutional deadlock that might be caused by the recent amendments to the justice laws and said some of the provisions are not constitutional. In its turn, the National Liberal Party stated that the adoption of this emergency ordinance, in total disagreement with the European Commission’s , Venice Commission’s and GRECO’s recommendations, represents “an irresponsible act close to madness and a ruthless defiance of the Dragnea-Dancila Government”. As for USR, they will ask the Ombudsman to refer the GEO to the Constitutional Court, while calling on the European Commission to intervene on the ground that Romania is legislating against the Cooperation and Verification Mechanism and against EU treaties. In his turn, Dacian Ciolos, PLUS chairman, said that Romanian prosecutors and judges should have the courage to talk, they should protest and not let themselves intimidated by the political pressure.